We had originally heard that Super Mario Cereal was returning to stores in Mexico, but we now know that was just part of the story. 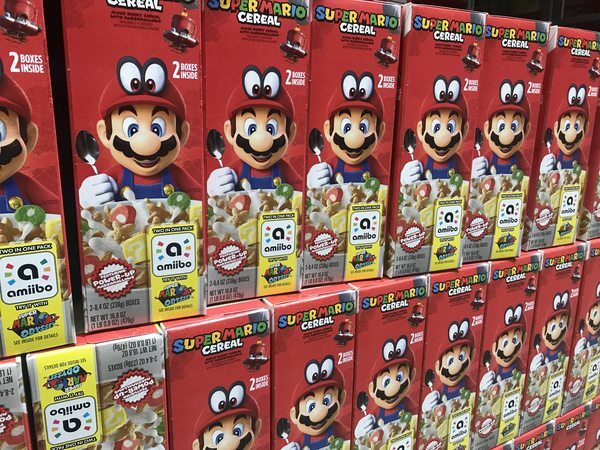 Sam's Club locations around the states are getting the cereal back in stock, and it's the dual pack that we reported on. Hopefully a location near you has gotten a shipment! Huge thanks to Environ for the pic! Sam Club is a wholesale store, so that explains the "huge" shipment. Just the U.S. and Mexico? Aren&apos;t they forgetting another big part of North America that might like these? Eh? EH? I wish I could have this cereal.